Have you ever noticed how worn a floor gets where people walk the most? Think back to your school days. The edges of the hallways always looked like new, while the middle was faded and covered with scuffmarks. If you have carpet in your home, this wear and tear is something you see every day — up the stairs, through the hallways and into the rooms you use most. High foot traffic unfortunately leads to trampled-looking carpet. But what if you could use this evidence to your advantage? Your worn flooring substrates clearly show where people in your household walk the most. Therefore, when it’s time to replace these worn materials, you should think about which areas would be the best for spot floor heating. Generally, there are five areas that homeowners spend much of their time and choose to install in-floor heating. Think of how much time you and your family members spend brushing your teeth, doing your hair, shaving, putting on makeup and the like. The area in front of the bathroom vanity is prime real estate in any home. Now imagine that the floor in this area is heated. That real estate just got even more in demand! For a double vanity, all you would need is one 3- by 6-foot electric heated floor mat, which costs less than $235 to purchase and $0.11 a day to operate for 8 hours each day. Doing the dishes doesn’t have to be such a chore when floor heating is involved. By installing a 3- by 3-foot heating mat under the flooring, you can treat your feet while you clean. A 3- by 3-foot TempZone™ Easy Mat costs $135 and only $0.06 a day to operate for 8 hours every day. One of the biggest selling points of a floor-heating system is to keep you feeling warm as you come out of the shower or tub. When you’re leaving a warm, relaxing shower, the last thing you want to do is lose that feeling by stepping out onto a cold tile floor. By heating the area outside your shower or tub, you can be sure that warm, comforting feeling won’t leave you. All you need for this area is a $135 3- by 3-foot TempZone™ Easy Mat. Although it’s not always top of mind, for those who have a home office, spot heating the open space under your desk is a must. When you’re spending hours sitting at your computer, you can at least get rewarded for your hard work with a warm retreat for your feet. A 3- by 2-foot heating mat only costs $96. And even if you’re burning the midnight oil and putting in a 10-hour day, it would only cost $0.05 to operate the system. 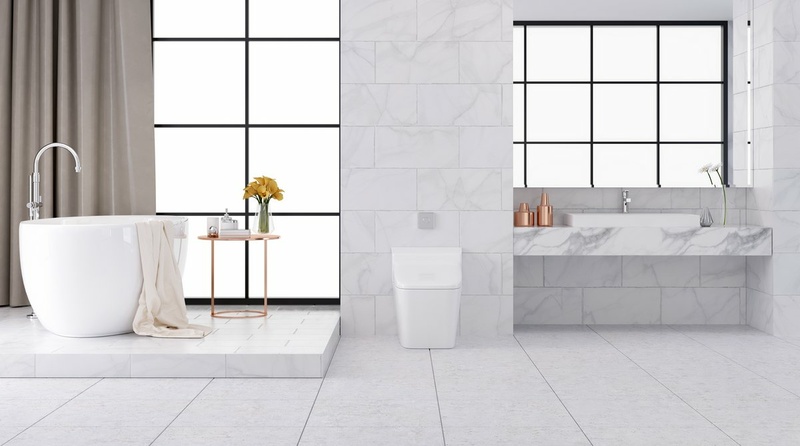 You only use three areas of a bathroom — the vanity, the shower and the toilet — so why not spot-heat all three? Heating the 3- by 2-foot area in front of your toilet for 8 hours a day would only cost you $0.04 a day. Whether the flooring in these areas is worn or not, floor heating in these key locations is sure to make daily living a pleasant experience for everyone. And by heating small areas instead of entire rooms, you can heat more areas of your home while spending less. 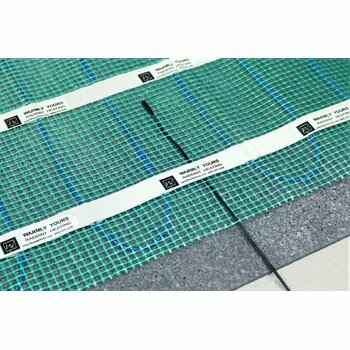 If you’re interested in adding in-floor heating to areas of your home, visit www.warmlyyours.com. Additionally, learn more about TempZone™ Easy Mats and spot heating by watching the video below.